Bed Bath & Beyond Inc. (NASDAQ: BBBY) reported fiscal fourth quarter earnings that came in ahead of expectations, but downbeat guidance for 2018 prompted a big sell-off in the stock. Shares were down 19 percent at $17.42 at time of publication. KeyBanc Capital Markets' Bradley Thomas maintains an Underweight rating on Bed Bath & Beyond with a price target lowered form $17 to $16. Morgan Stanley's Simeon Gutman maintains an Underweight rating with a price target lowered from $20 to $16. Bank of America's Curtis Nagle maintains an Underperform rating with a price target lowered from $19 to $16. Wedbush's Seth Basham maintains a Neutral rating with a price target lowered from $23 to $18. Baird Equity Research's Peter Benedict maintains a Neutral rating with an unchanged $20 price target. 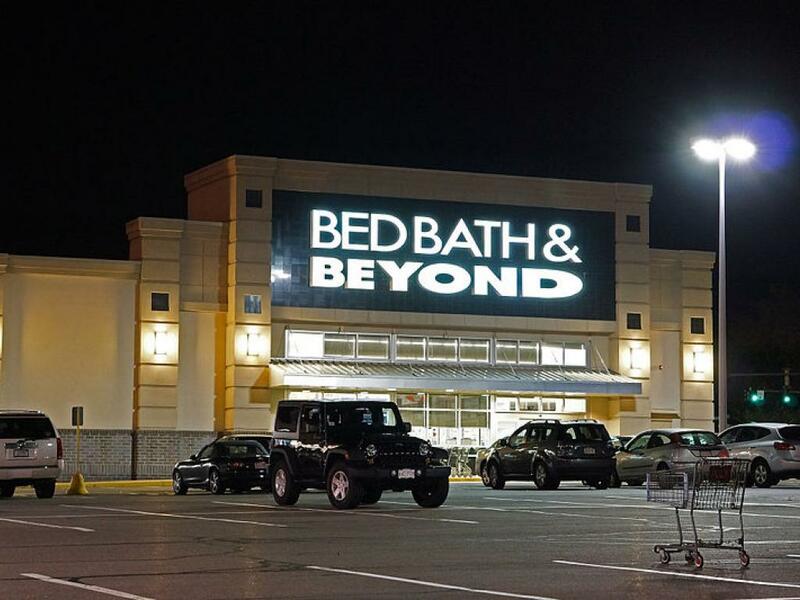 Bed Bath & Beyond's fourth quarter emphasized the company's ongoing pressures, Thomas said in a research report. These include a 19.4 percent year-over-year decline in earnings and dollar operating income dropping 21.6 percent. Despite Bed Bath & Beyond's reputation of being a "quality retailer and well-run company," the competitive landscape continues to intensify both online and offline, the analyst said. The company's response of incremental investments in its online business is weighing on its profits to the point where gross margin has fallen for 25 consecutive quarters. Bottom line, concerns that underlying trends would get worse will carry over beyond the first quarter given the "rapidly evolving" consumer and retail landscape. Bed Bath & Beyond's earnings shows its online business is "clearly hurting" margins, Gutman said in a note. While the rate of margin erosion could improve from negative 250 basis points in the past two years as the company slows down its investments and initiatives. However, there's "little clarity" as to why margins won't continue to move lower as 2018 and 2019 will be investment years. Bed Bath & Beyond also signaled an "elevated execution risk" path ahead, the analyst said. Specifically, management's business transformation is "deeper" than what it committed to over the past few years, including the merchant organization now focusing on differentiated products and digital merchandising, opening a sourcing office in Shanghai, and an evaluation of the supply chain that could result in greater investments in fulfillment. Bed Bath & Beyond ended fiscal 2017 on a disappointing note and management's 2018 guidance implies it's still a "long way off" from reversing EBIT margin compression and poor store productivity, Nagle said in a note. The company's multiple initiatives to improve its business will either take too much time to generate sufficient scale or be dilutive to margins. It's also possible that the return on investments won't be as big as management expects. The retailer does generate an annual EBIT of $500 million and generates $400 million in free cash flow generation, the analyst said, but so long as its operating margins "continues to bleed," the less time management has in overseeing a successful turnaround. Bed Bath & Beyond's same-store sales decline of 0.6 percent in the quarter came in ahead of expectations of a 1.7 percent decline, Basham said in a note. While the company ended 2017 with negative comps for the second straight year, management expects an improvement to a low-single-digit rate in fiscal 2018 as it will gain market share from Toys "R" Us' closure and continued strength in the online business. Basham said the company deserves some credit for its aggressive investments in critical areas including price, shipping, products and customer experience. However, the company is now expected to only see an earnings inflection in 2020 and the path until then is "unclear." 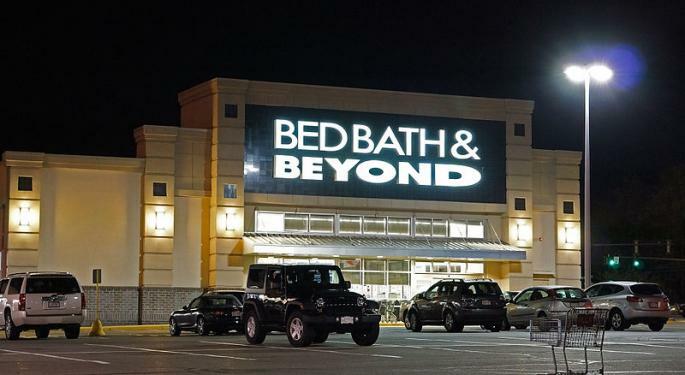 Bed Bath & Beyond's top-line trends in the fourth quarter were better than expected, but at the same time gross margin declines accelerated from 174 basis points in the prior quarter to 213 basis points, Benedict said in a note. 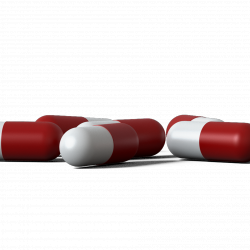 While the company should see some benefits in gross margins from direct sourcing and improved pricing analytics over time, gross margin pressure will likely continue through fiscal 2018. As such, the company's profit and EPS "reset" will likely continue through at least fiscal 2019, the analyst said. Investors may want to consider staying on the sidelines despite the stock appearing to be "inexpensive."